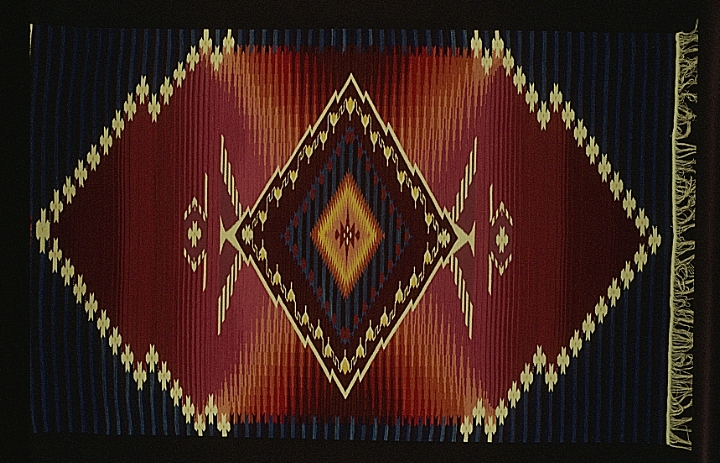 Irvin L. Trujillo represents the seventh generation of weavers in the Trujillo and Ortega families of Chimayo, in the northern part of New Mexico. 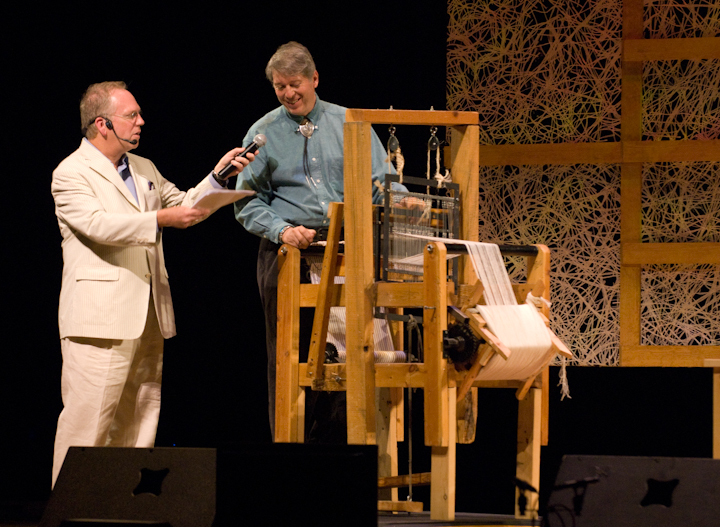 When he was 10, he began learning from his father, the renowned weaver Jacobo Ortega Trujillo. 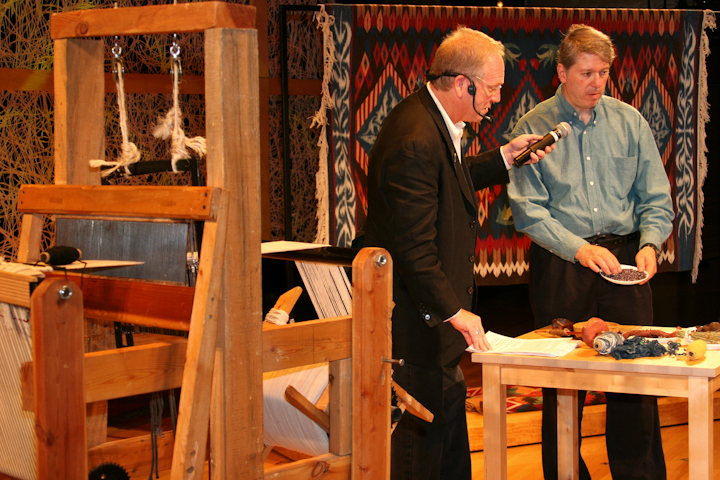 Within a couple of days, the child was weaving on his own, using a small loom his dad had set up for him. Soon he was taking commissions from friends for pieces that incorporated their names. Trujillo studied civil engineering in college and took a job in that field but found it too confining. “I like the freedom Chimayo offers,” he told NEA interviewer Mary Eckstein. 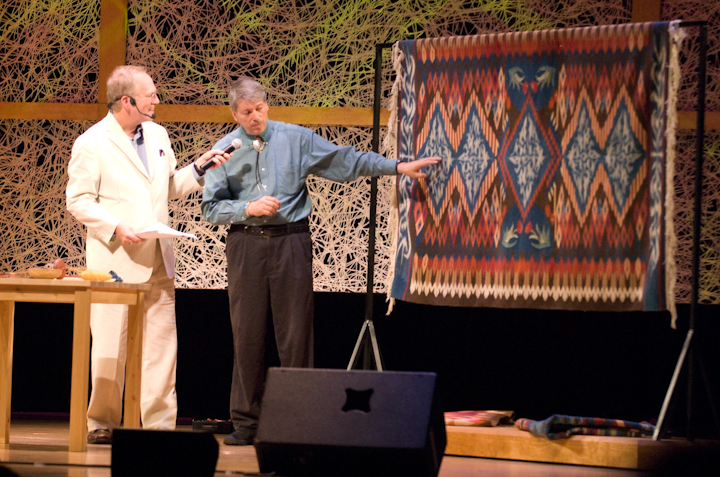 In 1980, Trujillo and his wife, Lisa, founded the Centinela Traditional Arts studio in Chimayo, making it possible for them to weave alongside his father and to teach others in the community. 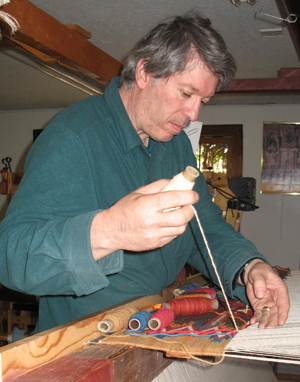 He studied privately with Jean Pierre LaResert, a French weaver living in Berkeley, Calif., and took a workshop from Archie Brennon, a world-renowned weaver from England. “From him I learned how to make the alphabet on five threads, as opposed to on a twenty-inch piece. He really taught me to look at the detail of the relationship of each thread to the next,” Trujillo told Eckstein. McKay, Mary Terence, and Lisa Trujillo. 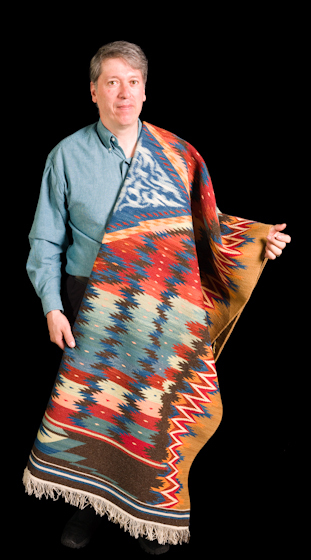 The Centinela Weavers of Chimayo: Unfolding Tradition. Chimayo, New Mexico: Centinela Traditional Arts, 1999.